The oil and gas industry is known for its highs and lows. Our service will help you avoid the lows and maximize the highs. We believe in delivering efficient, long term oriented and responsible results. We are proud to serve clients all over the globe. 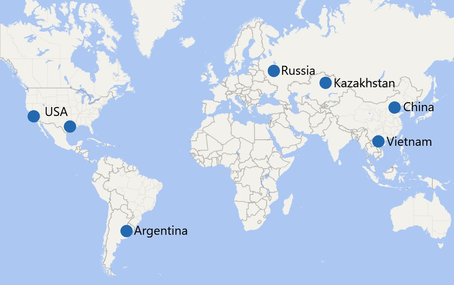 Our main presence is in USA, Kazakhstan, Russia, China, Vietnam and Argentina. No destination is too far away and we are always eager to help.